Sheridan VA Medical Center, located in the city of Sheridan, Wyoming in the Sheridan County, has been providing medical, mental health, and primary care services to male and female American veterans since April 1922. The center initially acted as a military fort and in 1901, Buffalo Soldiers used the center as a rest and retraining ground. The fort was closed and about to be demolished during World War I when ex-President William Taft assisted in changing the facility into a medical center for men returning from WWI with PTSD. In 1922, the hospital began as a 300-bed facility but expanded to 900 beds by the end of World War II. The center boasts of serving almost 13,000 veterans per year and multiple outpatient facilities located across Wyoming. The facility seeks to provide a full continuum of medical care for veterans throughout the Rocky Mountains region in an environment which is safe and responsible. Veterans dealing with co-occurring disorders can also find support at the medical facility. The center offers an extended care and rehabilitation program which includes nursing home care. The facility also offers outpatient care and a mental health residential unit. The mental health programs offered are specialized and coordinated by a group of mental health professionals including social workers, registered nurses, psychiatrists, and psychology technicians. The center also has special programs for persons dealing with PTSD and a Veteran Crisis Line. 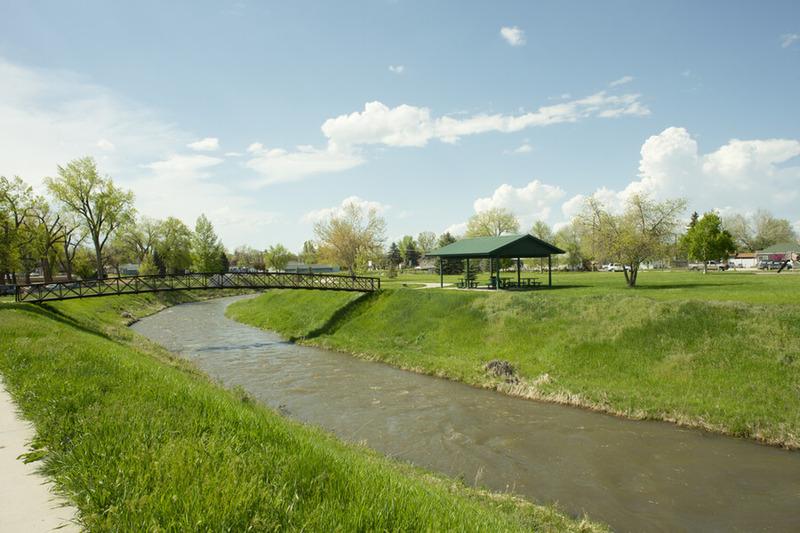 Located in North central Wyoming, the facility is quite large and persons in the residential program are housed in a brick building situated on green acres. Accommodation is semi-private (clients should expect to have roommates) and residents may bring their personal electronic devices such as laptops and phones. The facility’s environment is not restrictive and clients are given free rein to visit the gym, library, and chaplain services. The on-site cafeteria offers standard American food and also snacks. The facility’s mental health clinic offers a multidisciplinary treatment program. This program includes four specialty tracks which consist of Serious Mental Illness (SMI), Substance Abuse (SA), Co-occurring Disorders, and Post-Traumatic Stress Disorder (PTSD). This treatment program may also include psychological testing, diet counseling, group therapy, and medication management. The Extended Care and rehabilitation program for veterans may involve rehabilitative and therapeutic treatment services such as the Special Needs Unit (SNU), Unit 8 (inpatient psychiatric care), and the Domiciliary Residential Rehab Treatment Program (DRRTP) for homeless vets. In the outpatient level of care, veterans have the option of receiving treatment while living at home. Sheridan VA Medical Center is relatively free for US Veterans but other charges may apply depending on the type of treatment a patient receives. Private insurances are accepted but the facility does not bill Medicare or Medicaid. Co-pays are accepted and these payments must be made upon checking out or within 30 days after treatment. After completion of a primary program, the medical center staff creates an aftercare or discharge plan for local residents which include group and counseling sessions regularly. The team works with clients that do not live within the area to find therapists and outpatient programs around their living area that fits the specific need of the patient, to encourage continuous treatment. The medical center has been in the business of providing treatment to clients with substance abuse addiction for over ten years and also offers strong support for dual diagnosis as well. The medical center creates treatment programs that are tailored specifically to the particular disorder, challenge, or trauma a patient is facing. The facility also offers PTSD treatment to veterans in need of such through dedicated groups helping to find meaning in adversity. US Veterans seeking to get substance abuse treatment will find Sheridan VA medical center to be a good choice. Donald has been working at the facility for over three years and was a US Air Force Officer before retiring. Prior to holding the position of Associate Director, he served at different capacities at the center including serving as Chief Logistics Officer. He is passionate and dedicated to the mission of the medical center.